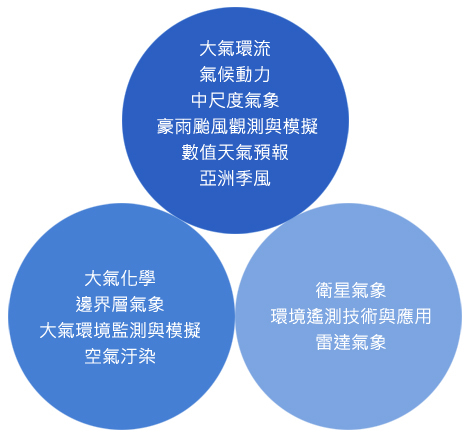 ﻿ 研究領域 Research | 國立中央大學大氣科學學系 Dept. of Atmospheric Sciences, NCU. Since its establishment, the department and the institute have actively participated in the global as well as regional progress of atmospheric sciences. Every year each faculty member has received at least one research grant from various government agencies to conduct fundamental or applied researches in atmospheric and environmental sciences.During the past twenty years, many faculty members have been heavily involved in several international and local field experiments and research projects to acquire a better understanding of local severe weather phenomena, such as monsoon and short-term climate variability.